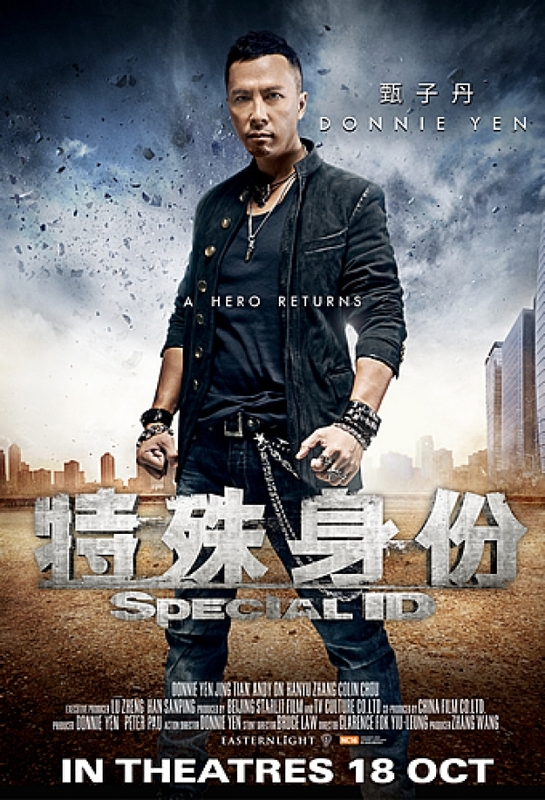 Special ID is the latest vehicle to hit DVD /Bluray with Donnie Yen. Directed By Clarence Fok (Dragon from Russia, Naked Killer) , Fok was quite prolific in the 80's and 90's and directed many Hong Kong action films but his output slowed as it entered the Millennium. In fact this his his first direction in some seven years..
Also Special ID was a troubled shoot, with original co-star to Donnie Yen being True Legend's Chiu Man Cheuk ( aka Zhao Wen Zhou) having conflicts on set with crew and cast about the shoot. and contracts. In the end after script changes and new roles created Andy On was cast in the villainous role along with Colin Chou and Ken Lo on board in sinister roles as well. Being the film is shot in China as well as Hong Kong we also have Chinese actress Jing Tian on board as a Chinese Police woman. The films plot is that Donnie plays Dragon a undercover policeman infiltrating gangs to bring down the crime bosses . But after some eight years under cover the fine line between being a policeman and a crook is diminished. Dragon's handler and superior Captain Cheung needs Dragon to keep on doing what he's doing to bring down crime lord Xiong ( Chou) , when a a old friend of Dragon ( Sunny played by Andy On ) ends up being the new man to fear in the crime world Captain Cheung convinces Dragon to keep at it and he promises to have him reinstated as regular Police Man. For this Dragon must go the Mainland and act as a advisor to their police department. 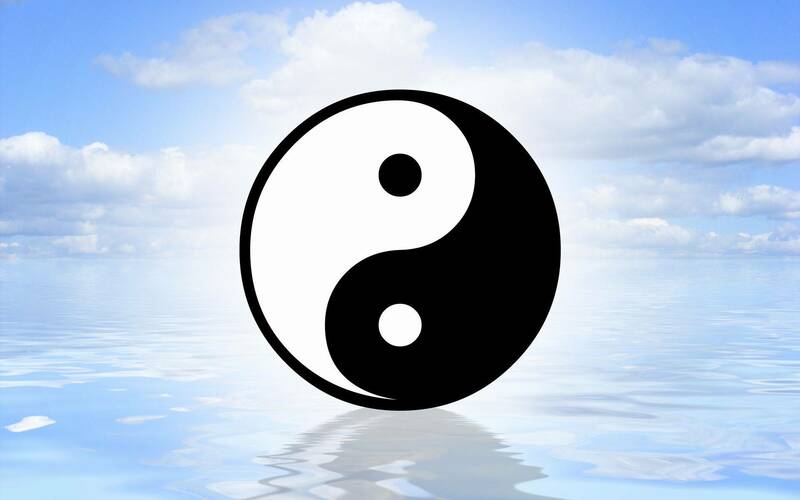 , it's here he will be under the watchful eye of Fang Jing ( Jing Tian) . One thing your notice about Special ID is the film plays more like a 80's or 90's action film from Hong Kong then anything else. If your a fan of classic Hong Kong action this may be a breath of fresh air in the barrage of special effect features and we get nowadays. On the other hand it also shows how far behind the times Clarence Fok's directing may be . With quite a few characters cropping up just so a action scene takes place is very reminiscent of those films from Hong Kong's golden era. 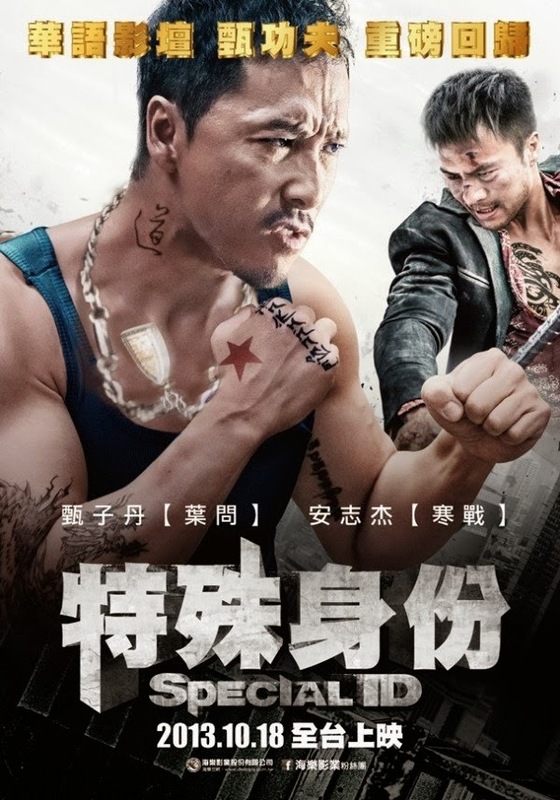 Many will find the story chopping and changing at points ,but this could be more to the troubled shoot which did not stop with the incidents with Chiu Man Cheuk ,later while filming it became evident to Tan Bing ( the original script writer and director ) that Yen had plagiarised his story and had stolen the script and altered it for his own version. For the viewer Special ID won't win any awards for acting or story ,it shares so many sub plots that have featured in so many films from Hong Kong from the past. But for action it delivers in bucket loads. ,even though not all the action is shot smooth as it could be ,but for most part it's like watching a real old school film. Donnie gets to show that he still can move at a rapid pace and pull of the moves, showcasing his double and triple flying split kick , reminiscent of his role in the fourth ''In the Line of Duty '' film. But that's not all that is borrowed from Donnie's classic with Cynthia Khan. 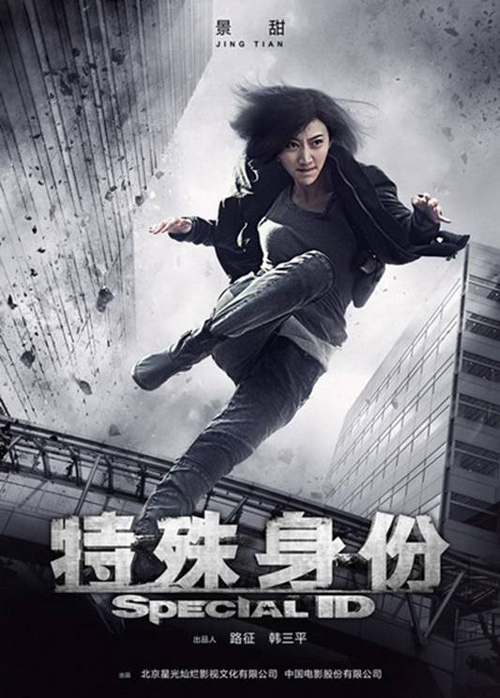 Jing Tian performs a fight with Andy On whilst he's driving a car, she hangs on for dear life to the moving car as it races along the busy streets, the scene is so similar to the Ambulance scene with Cynthia Khan in ''In the Line of Duty 4'' , where Cynthia hangs from a moving ambulance. Colin Chou unfortunately not getting to duke it out with Yen still manages to play a slightly crazed crime boss, but in the end his role of a filler for the story. Andy On though gets to show his repertoire along side Donnie Yen ,but then the two have worked together before and do so brilliantly. In the end Special ID may not be original and may have borrowed heavily from other films and kind of mish mashed those stories into one. , the on set conflicts in the original version and the supposed Plagiarism which Tan Bing brought up seem unfounded ,because if it where should his own script be deemed a plagiarism of some of the best Hong Kong cinema..
What matters is the film enjoyable to watch and the end answer is yes it is , it's not Donnie Yen's best work ,but his best work would be considered to be Ip Man ,but actors/ actresses and performers maybe get one or two films in their careers that set their benchmark ,for Donnie Yen Ip Man was one of them . Just because Special ID is not as well thought out or as passionate from the story or action view does not mean it's a bad film. If you want to sit back and see some cool action with some of your favourite screen heroes then Special ID will deliver.